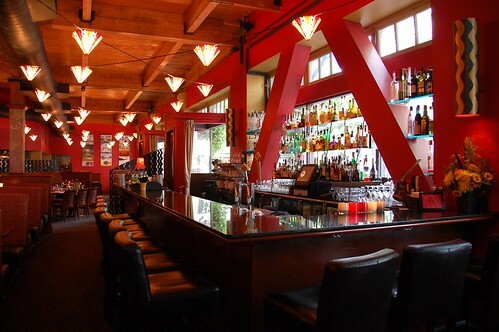 Chef Tom Douglas has a veritable restaurant empire in Seattle. 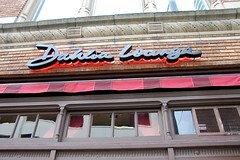 Dahlia Lounge is one of his 12 well-regarded eateries. 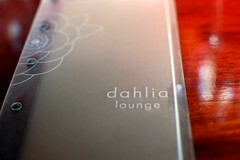 Mr. Monkey ordered a Dahlia mocktail -- fresh ginger, lime juice, simple syrup, soda ($3.50). I downed the John Daly -- Firefly sweet tea vodka, fresh-squeezed lemonade ($8.50). 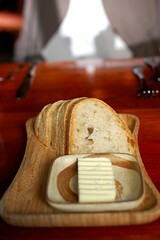 We both enjoyed a refreshing amuse bouche and warm fresh bread. This was our last meal before we hopped on our flight back to Los Angeles. 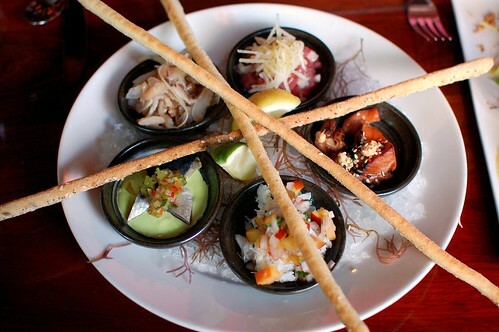 It was quite the early dinner, so we shared three appetizers instead of getting full meals with entrees. Like a seafood pinwheel! Raw stuff! Cured stuff! Smoked stuff! 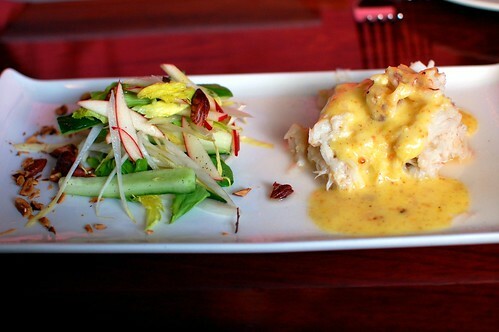 Warm Dungeness crab, Akane apple, hazelnut, brown butter Hollandaise ($17.00). 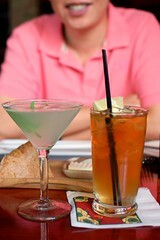 A heavenly cold and hot duo on one plate -- the textures, the flavors, the happiness. 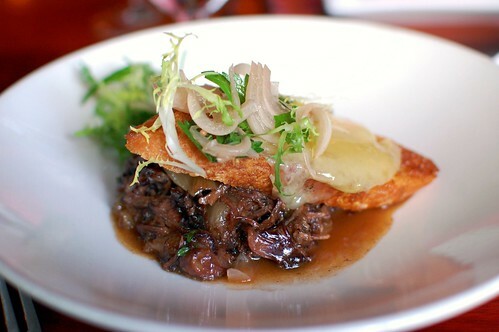 Braised oxtail, melted Tête de Moine on toast, Cipollini onion, Bordelaise ($13.00). Omigosh, omigosh, omigosh. Oh. My. Gosh. Yes. 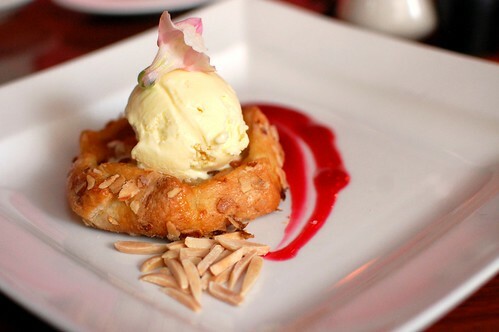 Washington peach crostada, almond, red currant, ginger ice cream ($9.00). A thing of beauty, inside and out. Hot! Cold! Sweet! Tart! Flaky! Mmm! 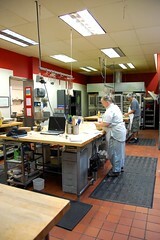 Made-to-order doughnuts, seasonal jam, vanilla mascarpone ($8.00). Little warm hugs! Just...ahhhhhh. Glorious end to our first Seattle weekend in November. But you know there's still more to come. We went to Seattle twice in November! 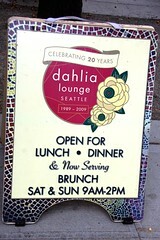 We ate there when we were in Seattle. Very good! One of my friends from law school loves to have an Arnold Palmer with citris vodka, and every time I make the joke "you know what an alcoholic Arnold Palmer should be called? A John Daly" - I crack myself up, but they don't follow sports so, of course, they have no idea what I'm talking about ... I love that someone else gets that joke! 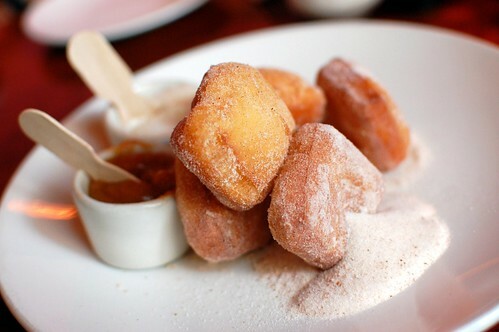 I LOVED those donuts! Some of the best ever. 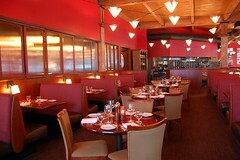 Great looking place! 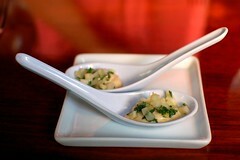 I want to some good restaurants on my return visit. I love things that come in tiny little portions. Then you get to try more.